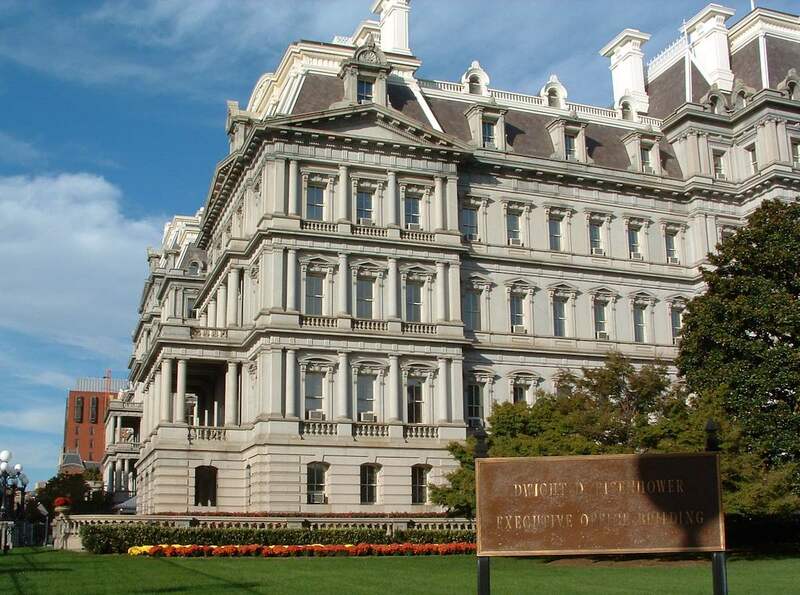 The Eisenhower Executive Office Building (EEOB) houses most of the staff for the White House. You can also see a small bit of the New Executive Office Building (the red brick building on the far left), which is half a block away. The EEOB is right next to the White House. Photos copyright John Hunter. Eisenhower Executive Office Building is available for use as creative commons attribution. Only photos noted as available as creative commons attribution may be used without permission (in the manner described only), other photos may not be used without permission.